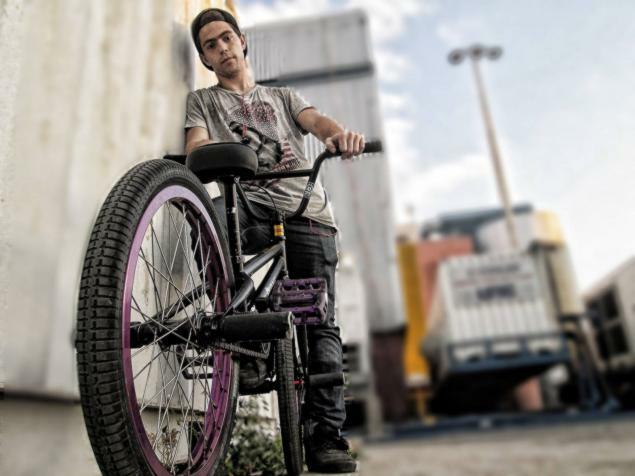 This month our featured rider is the only guy riding flatland in his entire country! We were curious to know a bit more about him, so here´s a short interview - enjoy! What's your name, age, and location? How long have you been riding? Hello all, my real name is "Ali Mohanna" but on internet named as "Oxter Gov " that's my nickname. I 'am 20 years old, from Arabian country called Lebanon; I live in Beirut City. I 've been riding bmx about two years and half right now. Is there a big flatland scene in Lebanon right now? persons. Unfortunately, our society here don't know anything about flatland even bmx in general , no real bike shops and no real flatland riders and no tv channels talked about this sport so because of that people can't discover this sport.Nothing can help them to know it, they think that bikes equal to toys. You are man so you can't ride bike, sadly but really those people they give me push to progress more... maybe someday I'll be known as a rider on tv and all people change their mind about bmx, and my message will Reach them.